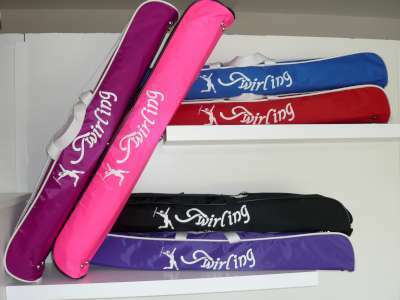 These nylon bags - Twirling - simple model with one (01) zipper holds up to batons of 30 inches long. Have hooks with strap. They are available in a variety of colors. To order this product, send an e-mail to info@batonique.com"